I used to have many pets while a child at my parents’ home and when on my own, before having a family. I had a dog, a cat, a pair of hamsters and several birds. But I’ve never been interested in an aquarium. I’m not a big fan of fish. Nevertheless, I enjoy visiting the aquarium at the ZOO, not for the fish, though. It is the jellyfish and the sea horses that I find totally fascinating. 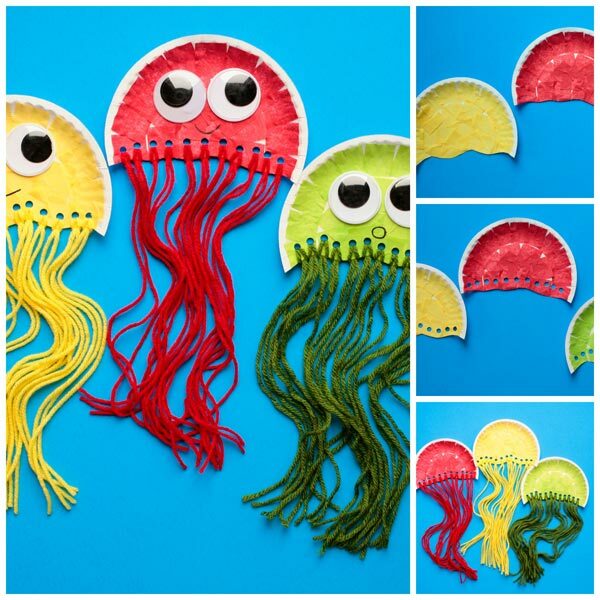 Inspired by these beautiful creatures, we made a paper plate jellyfish craft. 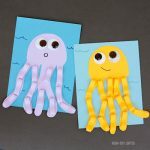 It is a great summer craft or a preschool ocean / under the sea theme. 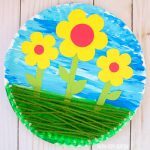 Kindergartners and older kids will enjoy it, too. 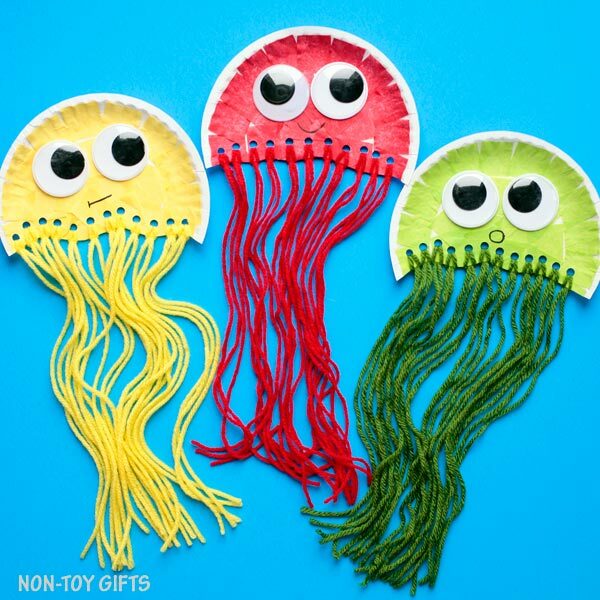 Make sure to also check out our adorable paper bowl jellyfish craft. 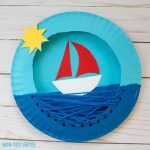 We love paper plate crafts and pairing them with yarn crafts. 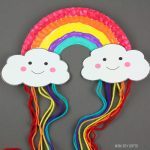 The results are adorable crafts that also encourage kids to practice their fine motor skills while working with yarn. 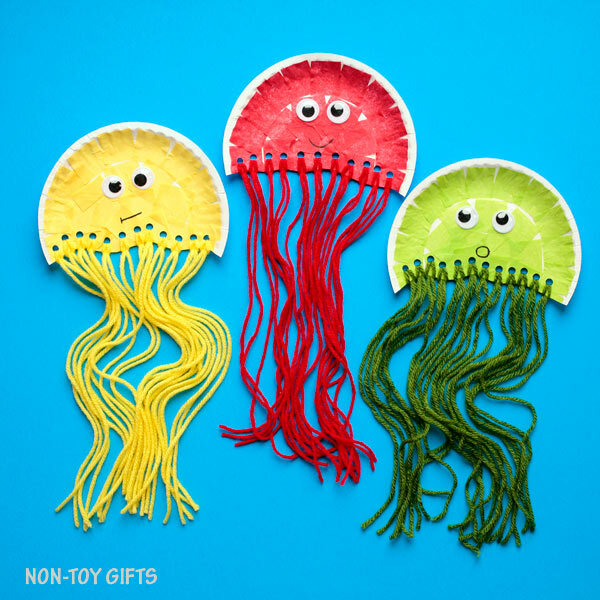 Once you’re done making the cute jellyfish, check out our entire collection of easy crafts for kids! 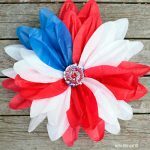 Step 1: Start by cutting up the tissue paper into small squares. 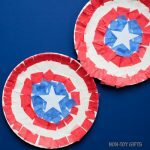 For young kids who aren’t comfortable yet with scissors, you can suggest tearing up the tissue paper, instead. Step 2: Cover the plate in glue. 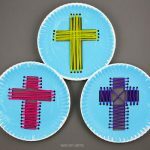 Use the small tissue squares to cover the paper plate. You can leave part of the bottom uncovered as we will cut it out anyway. 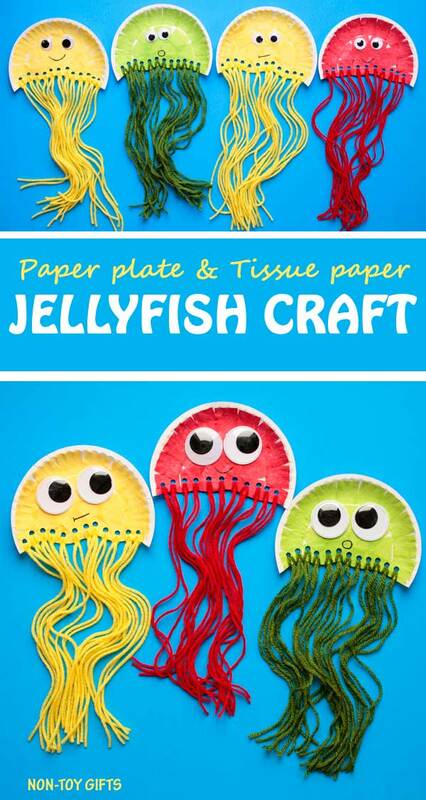 Step 3: Cut one side of the paper plate (the one that you haven’t covered in tissue paper) to look like the bottom of a jellyfish. Step 4: Use a hole punch to make several holes along the cut bottom. Step 5: Thread yarn through the holes at the bottom and tie it up. Cut the yarn pieces to be all at the same length. Step 6: Glue the googly eyes and use a black marker to draw a mouth. 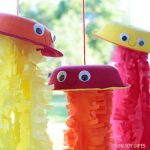 For more fun you can use big googly eyes, or glow in the dark googly eyes and even colorful googly eyes.